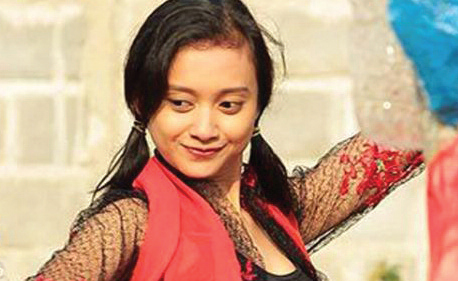 Born in Surabaya, Dita started dancing at the age of 10 years and joined the Wade JE community in 2014 and is involved in the project Tobong Arts Performance which is working in collaboration with artists Ketoprak Tobong Suryo Budoyo. Shown in Tobong Arts Festival-2015), Pentas Ndadari Moon (2015), and the body of Tropical Forests program (2015). Community Ward JE was initiated by young people in Kediri, active in the space of art, culture, and literacy. She performed with Suryo Budoyo and her work is inspired by the struggle of the Tobong atrists in Kediri in maintaining the tradition of art Ketoprak. Ketoprak consistently show their excellence from village to village.